Am I hot or not… and why? scale of facial symmetry and proportion. Other members will then score your selfie which will allow you to score theirs. You can find a date or just make friends. Featured members are members that have an average score of at least 3 out of 5 stars. These members are considered to be hot and will have their profiles featured at the top of popular pages. 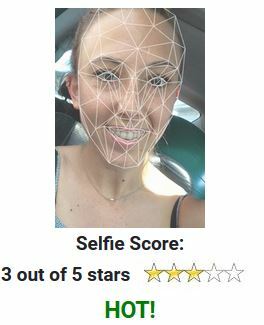 Each member can have their Selfie Score improved or lowered by other members. Online dating or Internet dating is a personal introductory system where individuals can find and contact each other over the Internet to arrange a date, usually with the objective of developing a personal, romantic, or sexual relationship. Online dating services usually provide matchmaking over the Internet, through the use of personal computers or cell phones. Users of an online dating service would usually provide personal information, to enable them to search the service provider’s database for other individuals. Members use criteria other members set, such as age range, gender and location. What are common factors in the best dating websites? The better dating sites usually find a fast way to engage the client and allow them to meet someone instantly. Dating sites use market metaphors to match people. Match Metaphors are conceptual frameworks that allow individuals to make sense of new concepts by drawing upon familiar experiences and frame-works. This metaphor of the marketplace – a place where people go to “shop” for potential romantic partners and to “sell” themselves in hopes of creating a successful romantic relationship – is highlighted by the layout and functionality of online dating websites. The marketplace metaphor may also resonate with participants’ conceptual orientation towards the process of dating a romantic partner. Most dating sites allow members to upload photos or videos of themselves and browse the photos and videos of others. Sites may offer additional services, such as webcasts, online chat, telephone chat (VOIP), and message boards. Some online dating sites provide free registration, but may offer services which require a monthly fee. Other sites depend on advertising for their revenue. 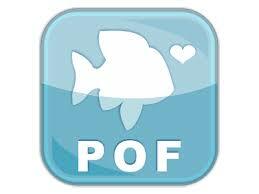 Some sites such as OkCupid.com, POF.com and Badoo.com are free and offer additional paid services in a revenue model. Some online dating sites are broad-based, with members coming from a variety of backgrounds looking for different types of relationships. Hiram Lewis designed Myselfiescore.com to differ from other sites in that it focuses more on the superficial more than interests, location, or relationship desired. A 2005 study of data collected by the Pew Internet & American Life Project found that individuals are more likely to use an online dating service if they use the Internet for a greater amount of tasks and less likely to use such an online dating service if they are trusting of others. 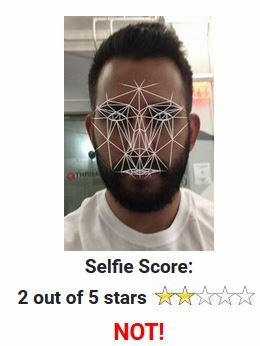 The Selfie Score project was invented by Hiram Lewis in 2017.